Philippines, 25 September 2015 — Anime fans, look out! Highly rated television anime series K will be back on the small screen this October with its second season K: Return of Kings, airing same day as Japan, first and exclusively on Animax – Asia’s first 24-hour Japanese anime channel. Since its 2012 debut, the K series has seen more than 10 anime and light novel spin-offs including K: Missing Kings, which was made into a film of the same name in July 2014. Since the announcement of this new season in May this year, the anime series has made countless appearances on international anime news sites, but it was in these last three months that K really dominated the online buzz in the scene, thanks to a “100 days” promotional video and visual campaign by writer GoRa and Japanese animation studio GoHands. Fans can expect to see even more action in K: Return of Kings, as modern-day kings armed with high-tech outfits and weapons continue to lead their colour-represented clans through thrilling conflicts in the concrete “jungle” – Shizume City. And not only is original director Shingo Suzuki back on the team with a fresh storyline, he is also the man behind the new characters, namely Green King Nagare Hisui, the strongest and most influential one of all. DON’T MISS: Mobile Suit Gundam: Iron-blooded Orphans revealed! Those who love anison can also look forward to the release of “Asymmetry”, the season’s opening theme composed by popular pop group angela. The track is performed by Yui Horie, who voices the character of Red clansman Anna Kushina in K. On top of that, the author of the series Tatsuki Miyazawa pens the ending theme “Kai”, which is performed by four-member group Customi-Z. Ready for war? 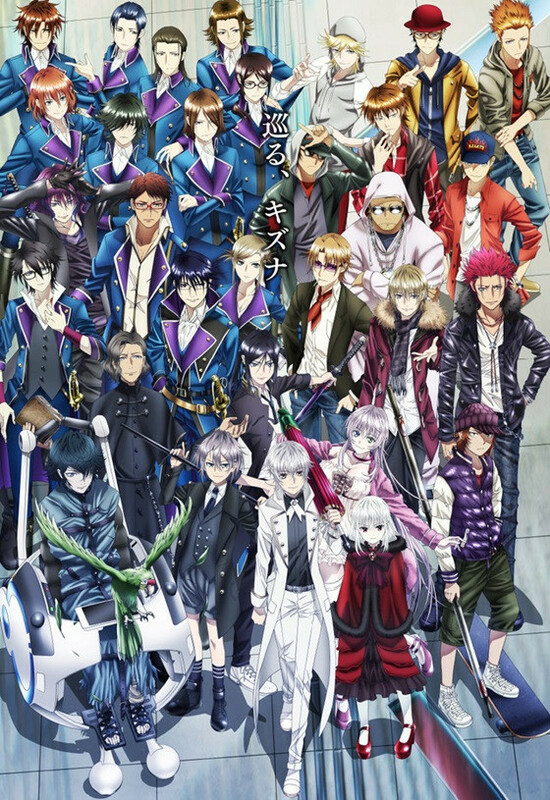 K: Return of Kings premieres in 3 October 2015, airing every Saturday at 11pm with an encore the next day at 8pm, first and exclusively on Animax. Animax is seen on SKYCable Channel 46, Cignal Digital TV Channel 34 and Dream Channel 7. DON’T MISS: Knights of Sidonia: Battle for Planet Nine now airing! Animax is home to some of the biggest anime titles in the world that enjoy great following across the region. In addition, the channel created TV history in April 2009 by becoming the world’s first regional broadcaster to air an anime series at the same time as Japan and followed that with six other simulcast anime series. Currently reaching 58 million homes across 17 markets in Asia, Animax aims to offer anime programming for everyone. Beyond television screens, Animax also actively engages its audiences at local events, including its signature Animax Carnival that has rolled out in Malaysia, the Philippines, and Taiwan. See www.animax-asia.com for more. Dai-3-Ji Super Robot Taisen Z: Tengoku-hen 2nd Promotional Video Unveiled! Girls und Panzer Gekijouban Movie Date Announced!